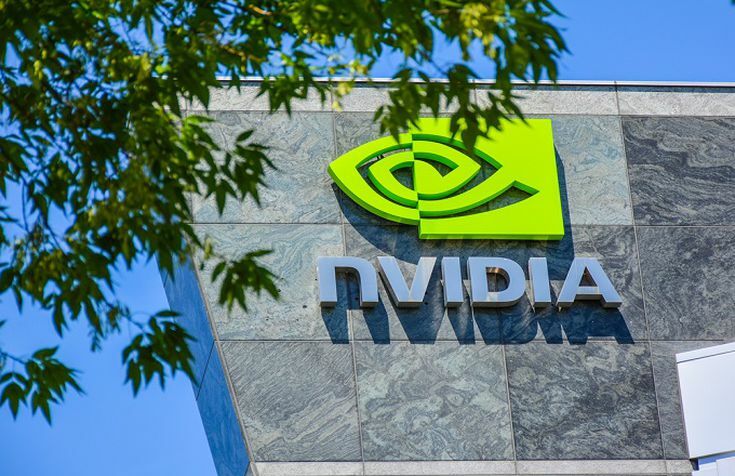 NVIDIA Corporation (NVDA) stock has traded below the 200-day exponential moving average (EMA) since breaking that support level in October 2018, but good things are happening under the surface, making it harder for market technicians to forecast new lows. Saying it another way, although the price chart has carved a classic breakdown and downtrend, first quarter price action could also mark a historic buying opportunity for well-timed positions. The stock posted an all-time high at $293 in early October and turned tail, sinking nearly 170 points into late December. Heavy selling volume characterized the steep decline, with long-term shareholders pulling up stakes and heading back to the sidelines. Amazingly, new buyers have replaced that lost demand in just three months, lifting accumulation-distribution readings to new highs even though price is still trading more than 120 points under the 2018 peak. This conflict sets off a major bullish divergence, predicting that price will play catch-up with improved sentiment in coming months, and it is a classic indicator for an impending bull run. However, long-term relative strength cycles failed to cooperate in January and February, sinking to the deepest oversold technical readings since 2011. They've now turned higher in bullish crossovers, predicting that buying power will expand further in the coming weeks. 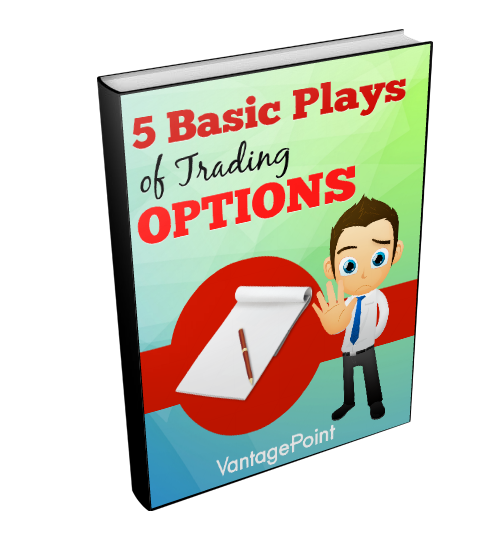 Even so, sidelined investors should watch two critical technical elements before getting on board. First, the stock needs to mount the 200-day EMA at $188 and fill the November gap between $161 and $200. Gap fills set off automatic sell signals, so a reversal at the psychological $200 level is likely. 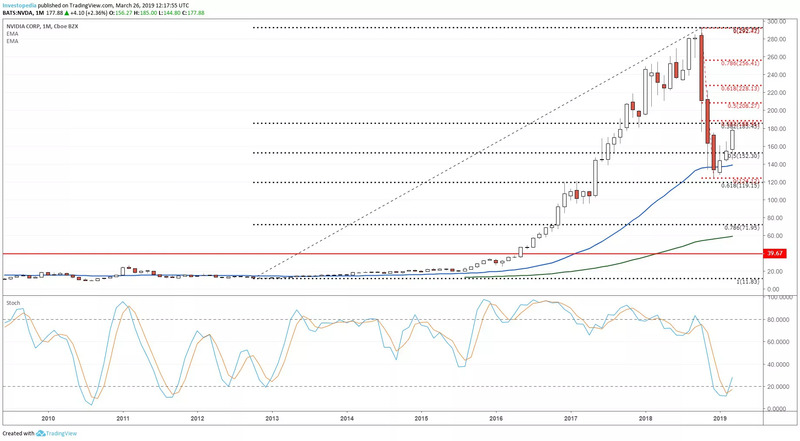 However, the first rally thrust above that level will establish a long-term buy signal, possibly marking a perfect price to take exposure with equally weighted risk and reward. The stock posted the first higher low after the 2008 bear market in 2012 and turned higher, entering a modest uptrend that exploded to the upside in the fourth quarter of 2015. It carved three strong rally waves into the second half of 2018, topping out near $300 and selling off into year end. A Fibonacci grid stretched across the six-year uptrend places the December low right at the .618 retracement, a common reversal level. The 2019 turnaround also marked the first test at the 50-month EMA since 2013, signaling an inflection point consistent with the end of a major downtrend. The monthly stochastics oscillator finally turned higher at the oversold level in March after more than two months of higher prices, removing a technical obstacle that has kept price below resistance between $180 and $200. Taken together, the stock is likely to surge above that barrier in the next one or two months. The on-balance volume (OBV) accumulation-distribution indicator posted a new high in October and turned sharply lower, dropping to a 52-week low in December. First quarter accumulation reached the prior high in February (red line) and broke out to an all-time high earlier this month, signaling committed buying power that hasn't translated into the rally points needed to cover last year's big downside. 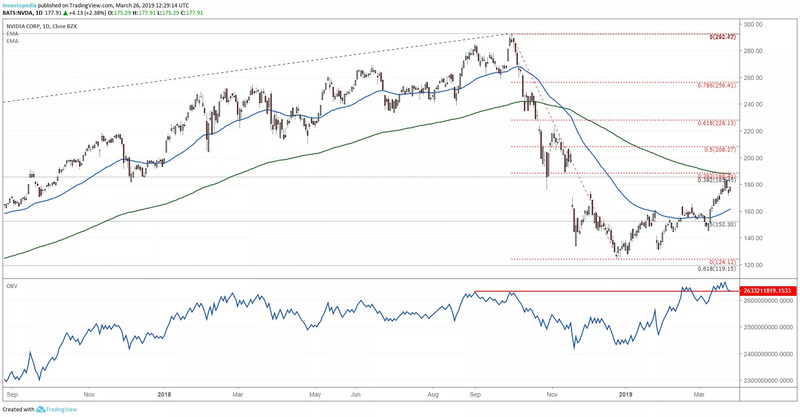 The bounce stalled at the narrowly aligned 200-day EMA and .382 Fibonacci sell-off retracement near $185 last week, signaling a possible test at 50-day EMA support near $160. A rally wave above $200 would greatly improve the technical outlook in this bilateral scenario, while a breakdown through $160 would unravel the last three months of technical progress. Bulls have the advantage in this conflict despite the ugly price pattern, with other technical stars finally aligned for higher prices. NVIDIA stock has drawn a bearish price pattern but remarkably bullish technicals in the first quarter, predicting that it will eventually test 2018's all-time high.